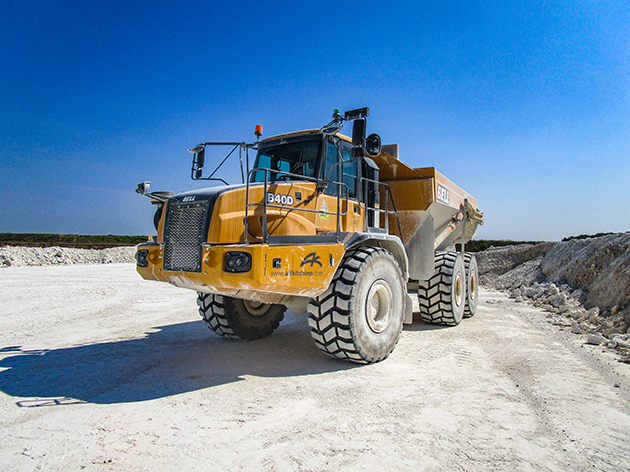 Alf Kitching Ltd., the North Lincolnshire-based quarry and civil engineering excavation specialist, has announced the impressive achievement of one of its Bell Equipment ADTs, as a B40D, purchased just two years ago at Hillhead 2016, has now successfully hauled over one million tonnes of limestone. Since shaking hands on the purchase deal at the renowned quarry exhibition in Buxton, Derbyshire, Alf Kitching’s B40D has indisputably earned its keep. The new machine started work in September 2016 and has since racked up 5,000 hours. 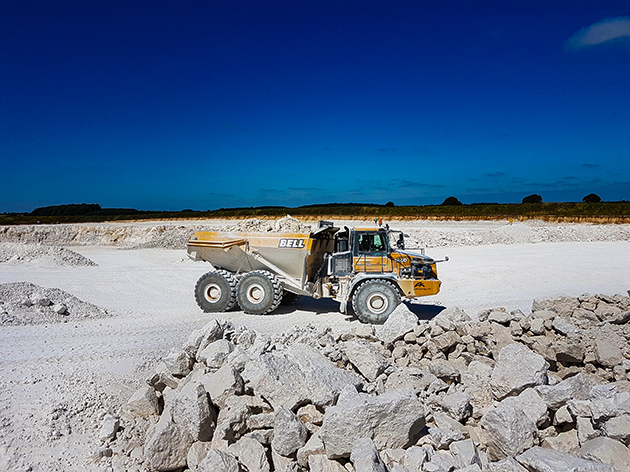 It’s spent the last 15-months being put through its paces at Singleton Birch Ltd, Melton Ross Quarries, hauling blasted limestone and averaging an output in the region of 130,000 tonnes of stone every month. “We’ve been delighted with the machine’s capabilities,” says Paul Kitching, managing director at Alf Kitching Ltd.
“Having decided to research the advantages of Bell machines after agreeing to seek out a new ADT supplier, we examined the B40D’s spec. We were subsequently impressed and went on to discuss a deal with the Bell sales team prior to providing full confirmation at Hillhead. Paul refers primarily to the B40D’s onboard weighing system, which has been used consistently since the machine’s purchase, and has helped to deliver monitorable results for the plant hire firm and its clients. In addition to the weighing system, the machine was also selected on the back of its high-performance capabilities and extremely efficient engine; developed in partnership with Mercedes-Benz, to comply with latest EU emission standards. The machine is operating under Bell Equipment’s service agreement, which ensures that the truck receives a programme of preventative maintenance, performed by a specialist Bell Equipment engineer, every 500 hours. The B40D will, for the foreseeable future, continue its sterling work at Melton Ross. While back at Alf Kitching Ltd., the team researches which Bell machine it might invest in next: “We’ve recently trialled both a Bell B50E and B60E to see which model could best suit our needs moving forward,” Paul adds. Responding, Nick Learoyd, Managing Director at Bell, comments: “Considering making a repeat purchase of a further Bell machine is a true testament of confidence in our trucks’ capabilities, brand and supporting customer service. 2019 © Copyright. BELL Equipment. All rights reserved.